Since the 1940s, Ancaster has been one of South East England’s largest dealer groups. With nine different locations across London, Kent, Surrey and Berkshire, Ancaster Group dealerships offer convenience, value and reliability when it comes to picking your dream vehicle. Their dealers have new and approved used cars for sale, with affordable finance options available to customers who’d rather pay monthly. You can buy parts and accessories, take your car in for servicing and arrange a hire contract for business vehicles. Ancaster Group also operates a Motability scheme for their disabled customers, with specialists working at each of their dealerships. The original founder of Ancaster Group was Harold G Cole, who set up the family business in 1949. The company started off as a small garage that repaired and restored lorries, and has evolved into a successful multi-franchise dealer group. 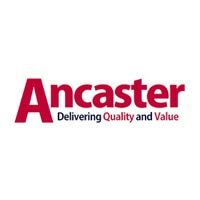 Ancaster’s first dealership opened in 1956, and by 1971 the company had acquired enough franchises that they could open a multi-marque showroom at their Penge site. As one of the original Nissan dealers, Ancaster Group is still proud to represent this popular brand today. Six different brands are associated with the Ancaster Group: Nissan, Fiat, Abarth, Alfa Romeo, Jeep and Hyundai. Compact, city-friendly hatchbacks include models by Fiat and Hyundai. Fantastic family cars are also available, with the Nissan Qashqai and Jeep Cherokee being two popular models. Sports car enthusiasts will want to check out the Abarth 124 Spider and the Alfa Romeo Giulia, while the environmentally conscious may be keen to take the all-electric Nissan Leaf for a test drive. Don’t forget that the brands on sale at Ancaster Group dealerships are represented in their used stock, and that Ancaster also offer business leasing contracts.